Ville Kattelus holds a M.Sc from Aalto University in Technology with a major in Control, Robotics and Autonomous Systems. Ville Julin has a M.Sc from Aalto University in Electrical Engineering. 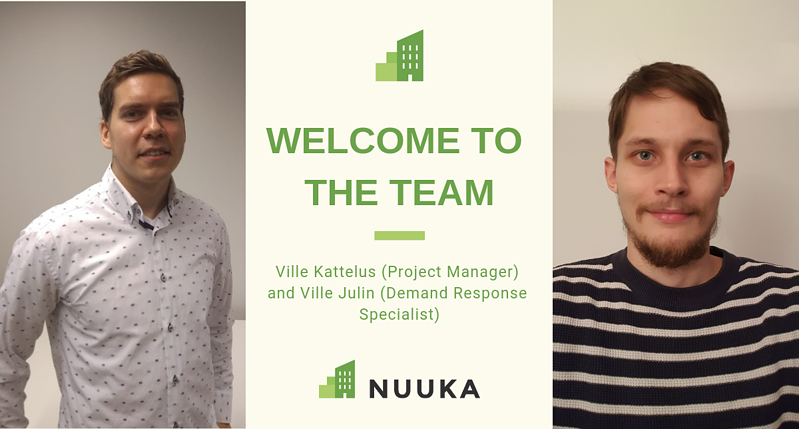 Prior to joining Nuuka, Ville did his Master’s Thesis for Nuuka in the field of Demand Response in commercial buildings.